How Far is Concord Tower at HM Symphony? Located in the fast growing neighbourhood off Sarjapur Road, Bangalore, Concord Tower at HM Symphony offers stylishly-designed 3 BHK condos across 14 floors. Spread over 4 acres, the project has over 80% open spaces, three-sided open ventilation, and a landscaped garden providing residents with an ideal setting to take a stroll or jog or just enjoy the ambience with family and friends. The project offers all modern lifestyle amenities like children’s play area, clubhouse, swimming pool, gym, spa, indoor games and a party area. The layout provides power back up, rainwater harvesting, car parking and security. Interested buyers can avail loans from any of these national banks – Axis Bank, HDFC, HDFC Home Loans, ICIC Bank, and LIC HFL. 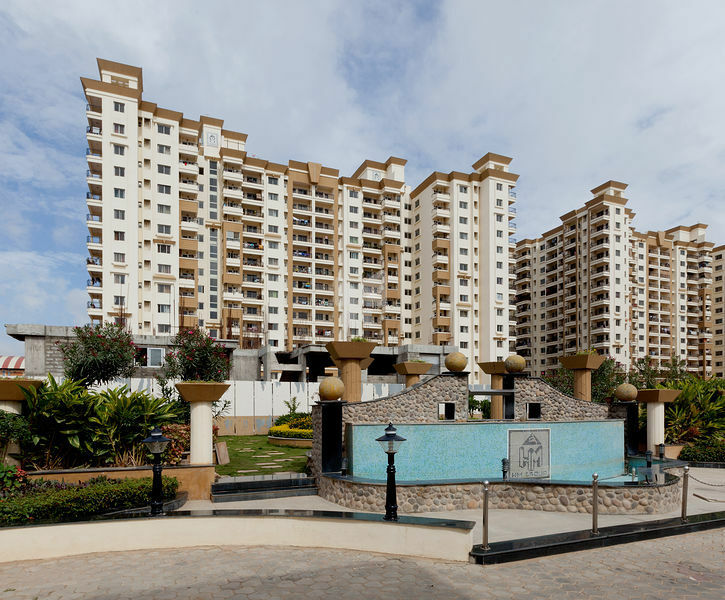 The project is developed by HM Group – the company was founded in 1990 and is one of Bangalore’s largest real estate developers. Walls- Oil bound acrylic distemper for ceiling and inner walls. Flooring - Granite flooring for lobby and stair case in ground floor, marble flooring for upper floor, MS Railing for staircase entrance lobby and lift walls - granite cladding. Flooring - Ceramic tiles with granite platform with stainless steel sink and drain board, ceramic dadoing in the kitchen, up to 2' level about the platform. Main Door - TW frame BST with beading, Bed/Kitchen Door - Honne/Sal wood frame with commercial flush shutter, matching hardware for the above. Flooring - Ceramic tiles with dadoing up to 7'. Designer bathrooms with superior sanitary fittings and concealed plumbing. Power coated anodized aluminium windows. 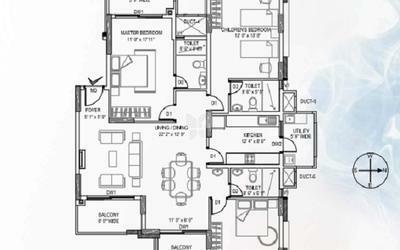 5 kva for 3 bedroom, 4 kva for 2 bedroom AC points in master bedroom, living/dining. Generator back-up provided with automatic load controller for each flat ! 1kva for 3 bedroom and 1 kva for 2 bedroom and lift and common area. Concealed conduiting with PVC insulated copper wires, modular switches, LCBs, Mk/anchor switches, security intercom to each apartment. 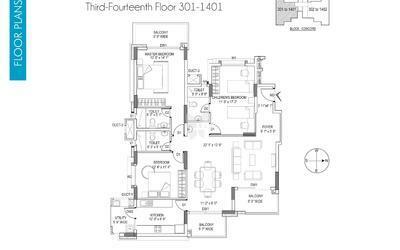 Television, Telephone points in living, master bedroom, Internet cabling. Water supply with underground sump and overhead tank with bore well water.